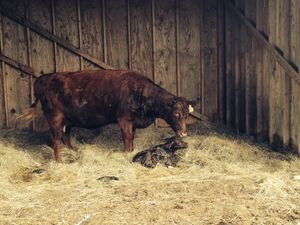 Sassy is a red polled heifer that is non Chondro and non PHA. 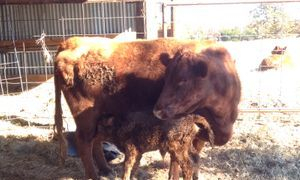 She is sired by Belle Fourche Washington and her dam is Sant'Angelo Red Sara. 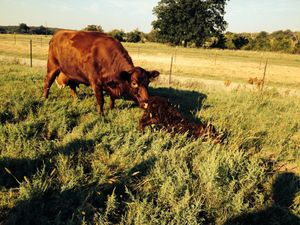 Hattie is a red polled heifer sired by Belle Fourche Lasair and her dam is Five Springs Holly.